As decking specialists, Arbordeck is proud to offer a full range of low maintenance Trex decking, composite decking boards, timber decking and recycled plastic decking as well as all the fittings and extras you require. Perfect for both residential and commercial settings, our decking is a cost-effective way to enhance gardens and other outdoor spaces. 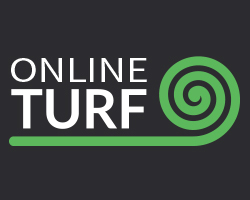 Online Turf is a leading supplier of turf and topsoil nationwide. With products to meet all your requirements, we are the one stop shop for all your gardening needs.